I was born in the very last hours of Moondark…and find that it’s best to note Moondark periods in my new diary each year. At these times, each month, I find that I need even more time than usual (having several 12th House planets anyway) to retreat, be in silence, drift, and dream…let my mind wander. This is what I am able to do today, on the last day of Moondark. I’d be interested in others’ experiences of this phenomenon – and its impact especially at those times which happen to us all, when LIFE requires us to engage, to be busy, to stay focused. What are you doing today as you wait for the Cancer New Moon tomorrow? Having googled “Writing about Moondark”, I found this fine article, a compilation of others’ writings by astrologer Molly Hall. (see full attribution at the end.) It is well written and informative. I do hope you enjoy the read – and please do leave a comment especially if your experiences resonate in any way, either with what I have said or in response to this article. You can also read an article I wrote last year about Moondark on Writing from the Twelfth House . For many, the new Moon begins at the moment of the Sun-Moon conjunction, but for others it remains the dark Moon until that crescent is in view. As the Moon wanes toward those final days of darkness, there’s often a turn inward. In those contemplative moments, the inner reality is presented through dreams and waking visions. It’s fertile ground for the new Moon intentions to be conjured. You’ve probably heard about the “menstruation hut” of matriarchal and so-called primitve cultures. The dark of the Moon was one of those times when women gathered together to draw wisdom from the powerful psychic energy afoot. Often there was a merging of women’s cycles — as there is now when women live in close quarters — and this created an amped up collective power. In the hut, women could share visions, divine messages and open to higher wisdom. 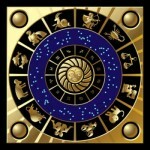 Attribution: This piece was authored by astrologer Molly Hall, who listed her sources thus: “This is original writing, the foundation of which came from the works of Vicki Noble, Demetra George, Judy Grahn, Starhawk and Elinor Gadon, to name a few…” and appeared on the About Religion site which has a section on astrology. I stripped out all the extraneous material, ads etc, so that you could read it without distraction.